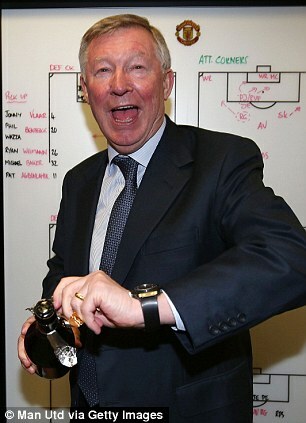 Look at the Manchester United tactics board behind Sir Alex Ferguson and his bottle of champagne after Manchester United beat Villa 3-0 to clinch the title, and you’ll get an insight on how they paid specially attention to Christian Benteke. Both Phil Jones and Wayne Rooney (Wazza) were double-team marking him on corners. The same special attention was seen every time Benteke picked up the ball anywhere else, with the Villa player constantly being crowded out by two or three United players. Obviously, United had learnt their lesson from the first time they faced the Belgium beast when he treated Chris Smalling like a rag doll. To counter this extra attention Benteke is receiving, the Villa midfield must learn to support him quicker and offer him options in the four games to go. Also, anybody standing in the Villa away end last night would have noticed in the first half, how pretty much every United attack came directly in-front of the Villa faithful down the right-flank (the various stat ‘heat maps’ testify). It was blatantly obvious Ferguson had isolated Villa’s left-back position as a weak spot to plunder. While Joe Bennett is gradually improving, at the moment, yesterday proved that the opposition will be no fools in exploiting him and the lack of cover offered to him from the Villa midfield. Overall, Villa did ok against United yesterday. Despite the score-line, they matched their hosts in terms of possession and shots. If Benteke had put his laces through his chance at 1-0, it would have given Villa a bit more belief and may have made United and the home crowd a little more anxious. Still, it proves Villa’s young lions can create chances against any opposition (an improvement on last season), but it’s not rocket science, if they don’t take them in the remaining four games, they will go down.